2012-01 JANUARY - WOOD TURNING PRESENTATION: Lee Sky - My small, portable Lathe and handmade cutting tools. Lee Sky - My small, portable Lathe and handmade cutting tools. 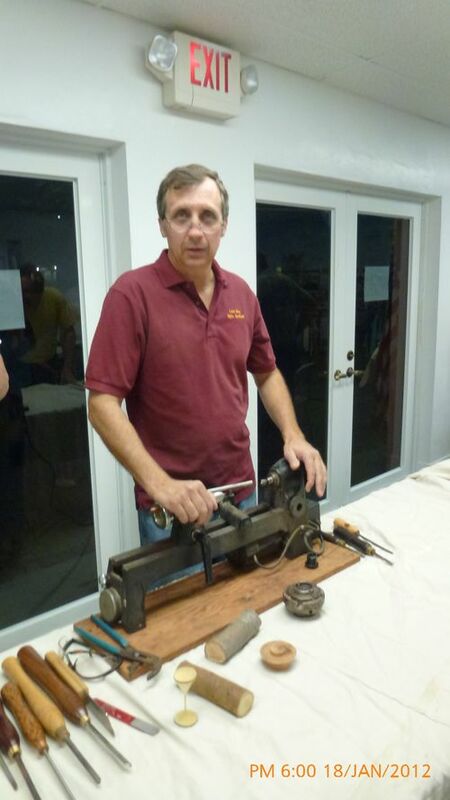 Lee uses the small lathe to demonstrate how to develop skills in fine wood turning. Lee makes all of his own wood tools - seen at his right - for gouging, parting, pointing, skewing and awls for making holes.